By the second day of Osheaga, a certain familiarity with the lay of the park had kicked in, but there was still so much to be seen. 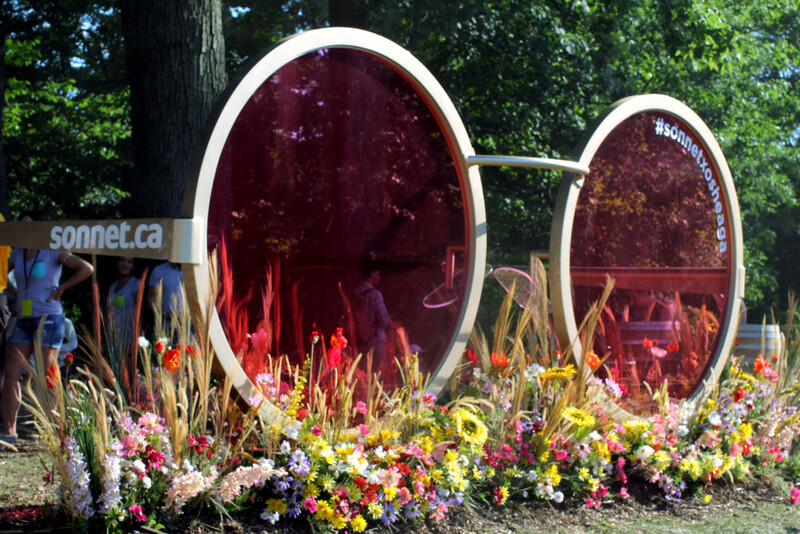 Osheaga prides itself on offering quality in both music and art, and exploring the various installations set along the woods was a welcome retreat from the sun and music that still faintly echoed from the stages. 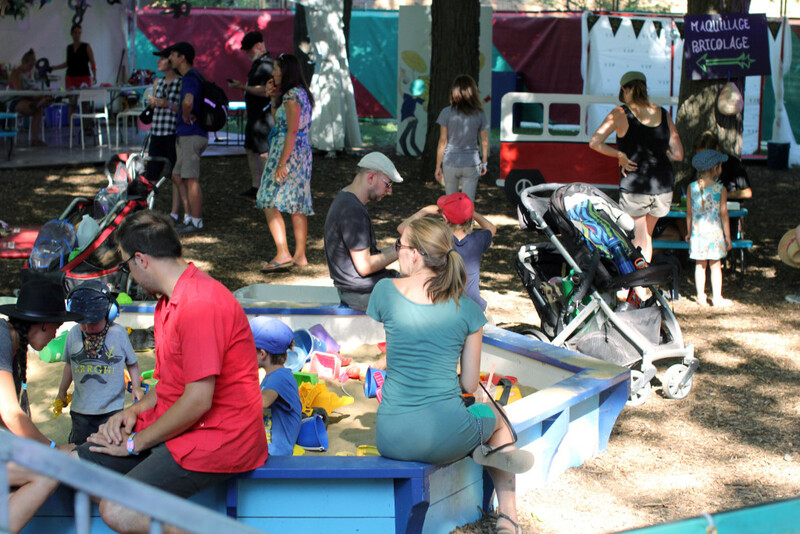 Osheaga doesn’t quite belong to any age group, and there were many families with small children, who were provided their own play area, and interactive experiences throughout the park. 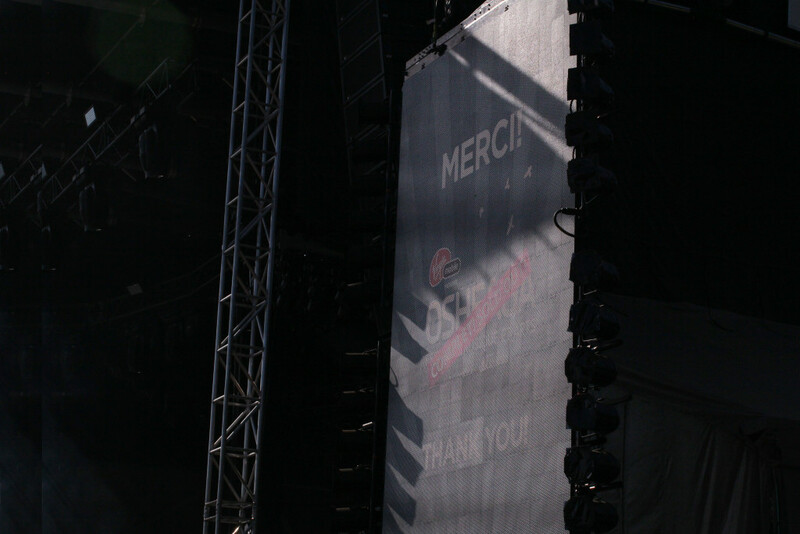 Whether it’s a mature French attitude towards life, or just the nature of Osheaga, there weren’t too many of the stereotypes that are associated with music festivals – the lingerie clad teenagers and intoxicated festival goers were far and few in between. 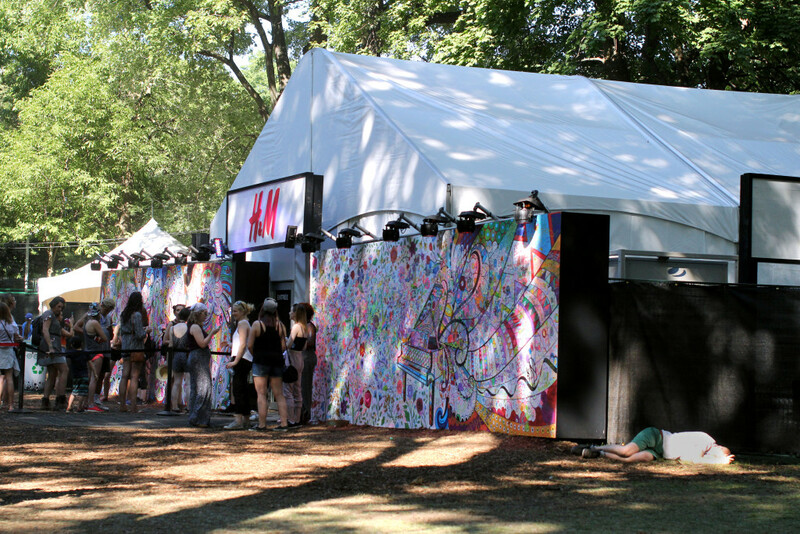 The art during Osheaga was crossed with offerings by commercial brands, but it was a delicate balance, and it didn’t feel pushy or overt, and there was representation from all different markets, like Schick Razor, NYX Makeup, H&M and Virgin Mobile. For those seeking an escape from the sun, Osheaga offers a chill zone, where hammocks were hung from trees, and people were free to lay and have a moment to reflect on all of their favourite music moments. 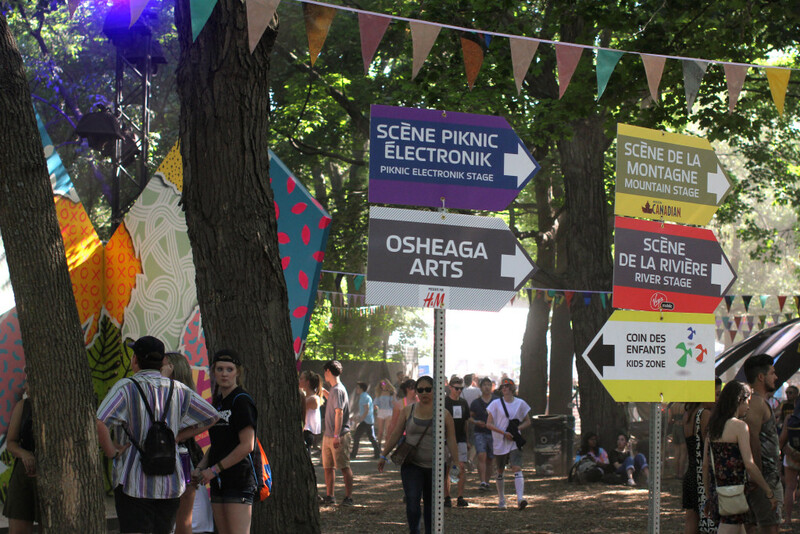 Osheaga is spread out among six stages (River, Mountain, Green, Valley, Zone Piknik Electronique , across the park. 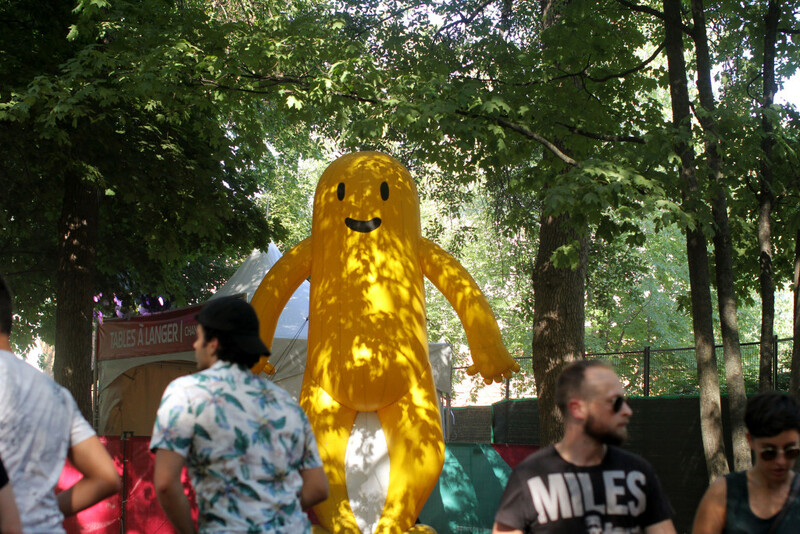 Osheaga’s Happy mascots were a hit. 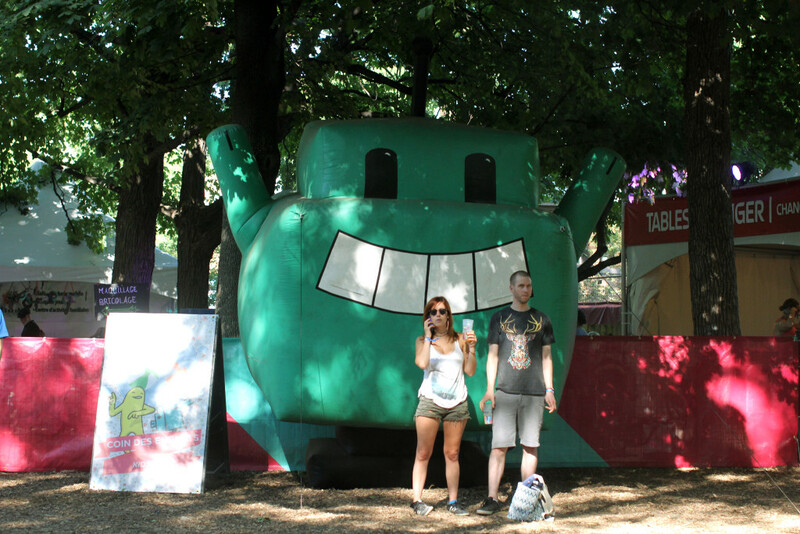 These Osheaga mascots were appreciated by kids and adults alike. 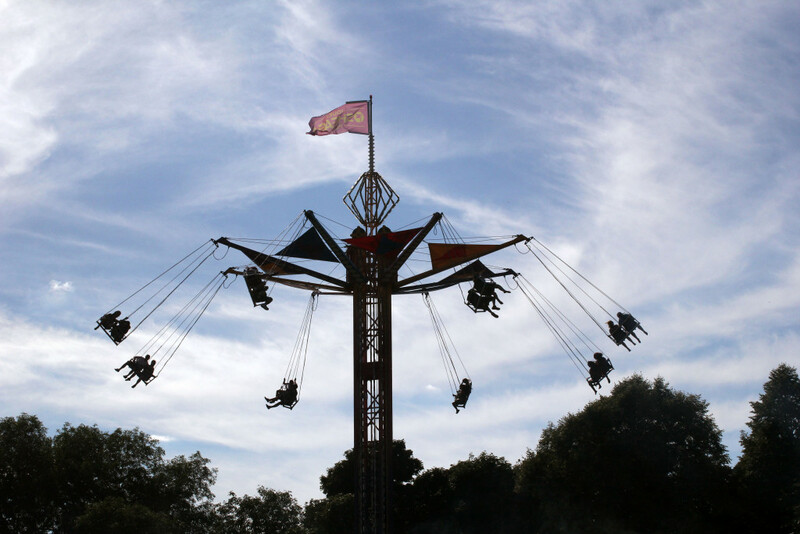 The Green Stage ( Scene Verte) featured a swing ride that put you above all the action. A festival goer tries their hand at rock climbing during Osheaga. 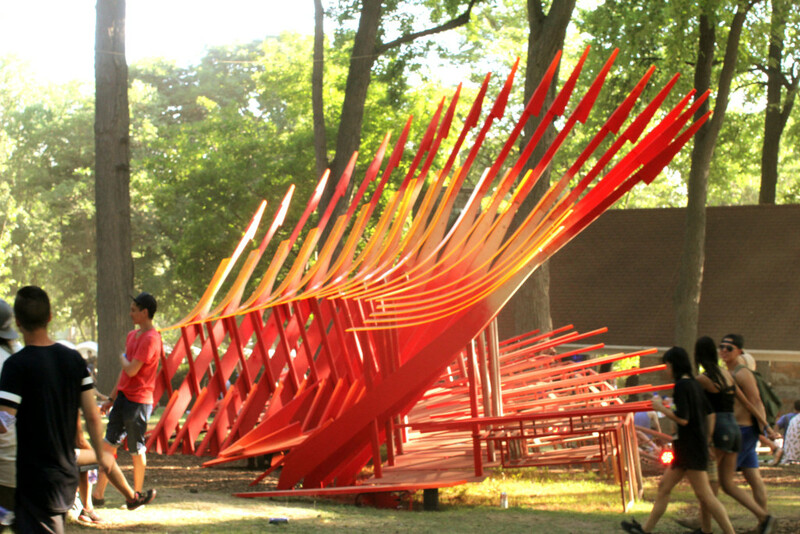 BE WATER is an installation that serves as a cool, waterpark for festivalgoers. Osheaga was a very family friendly festival. While children were scarcely seen in the crowded pits, they were happily frolicking around the park, especially in the Kids Zone. 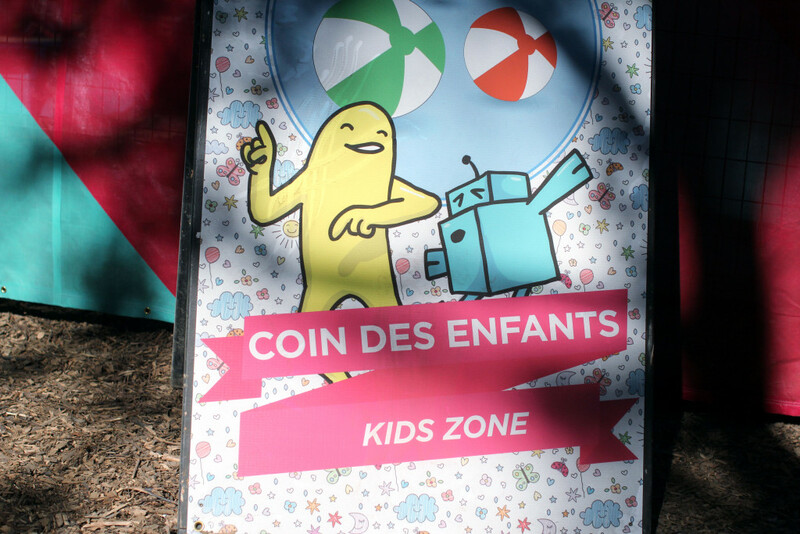 The Kids Zone was a retreat for kids and parents during Osheaga. 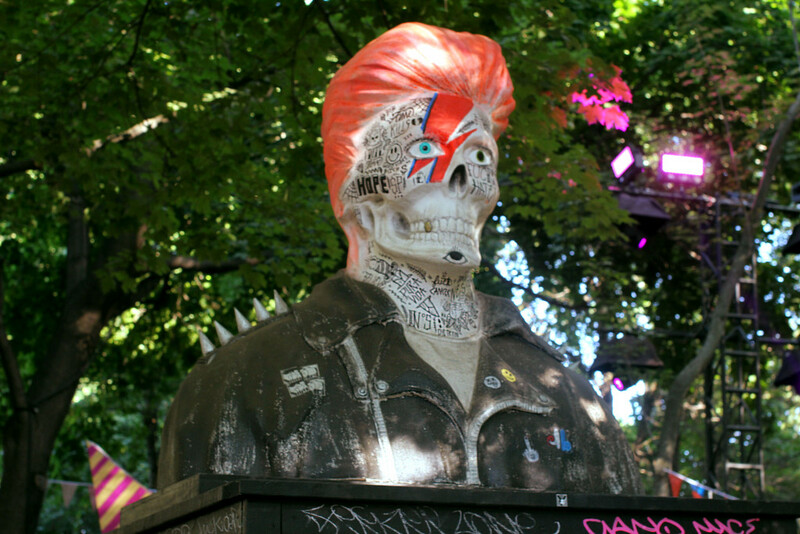 This David Bowie statue memorialized the late singer, whose death was a shock to the music community this year. 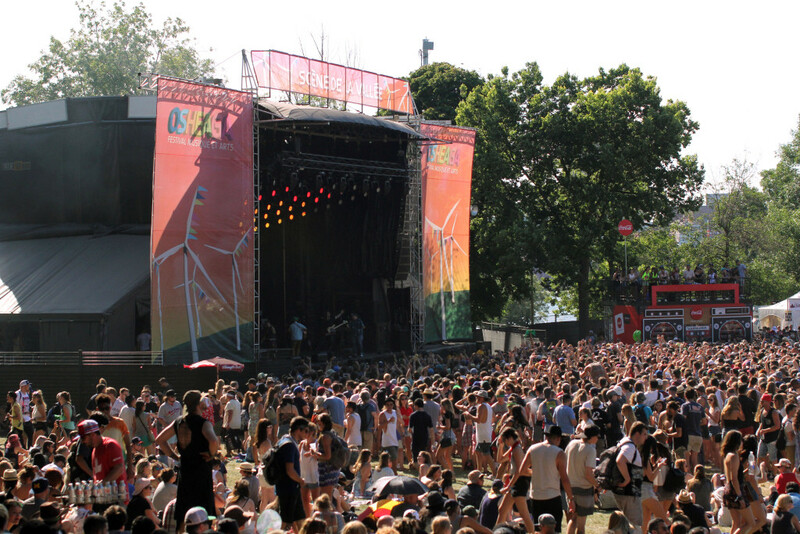 Art is just as integral as music to the Osheaga experience. Osheaga balanced between art and commercial vendors, and Sonnet.ca got the vibe of the festival right, with their marketing. Interactive exhibits sprung up throughout the park. Whether you wanted to snap a photo or just admire, there was lots of art to see. The Green Stage was an interactive to the brim at all hours of the festival. 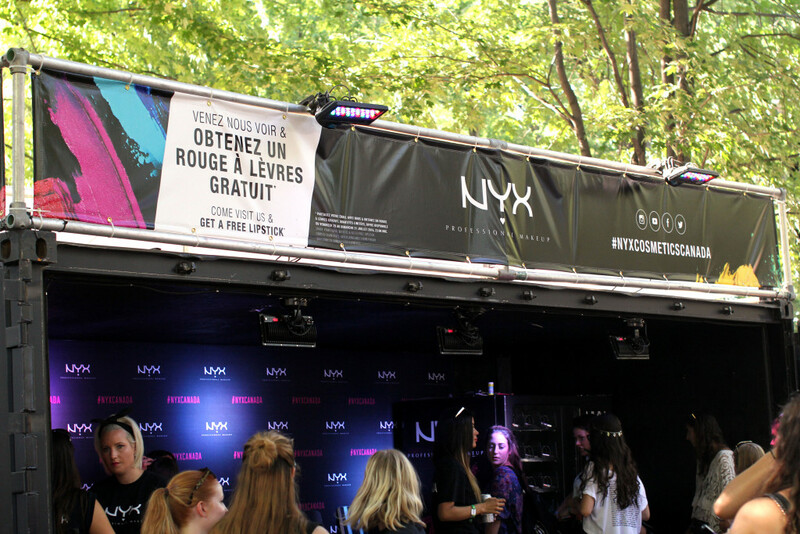 The NYX touch up stand at Osheaga featured complimentary touch ups and makeup artists meet and greets with celeb artists like Sonjdra Deluxe. 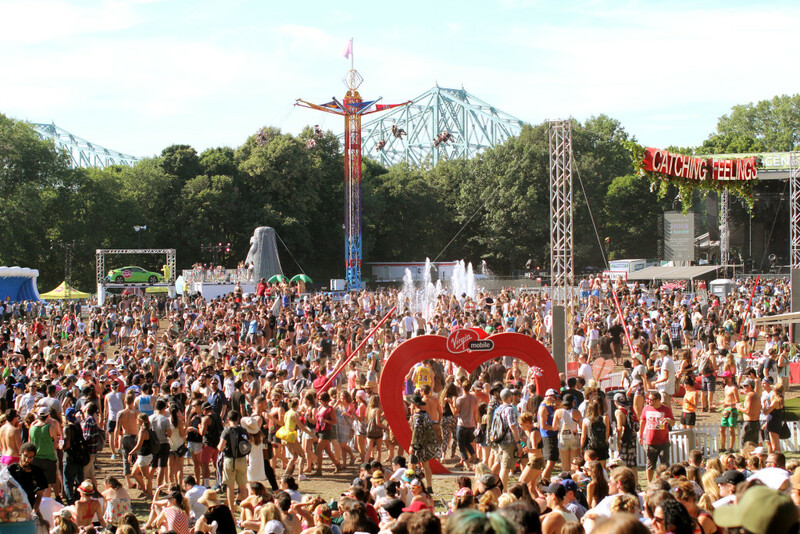 H&M is a presence on the music festival circuit worldwide, and they always have supporters lined up for giveaways. 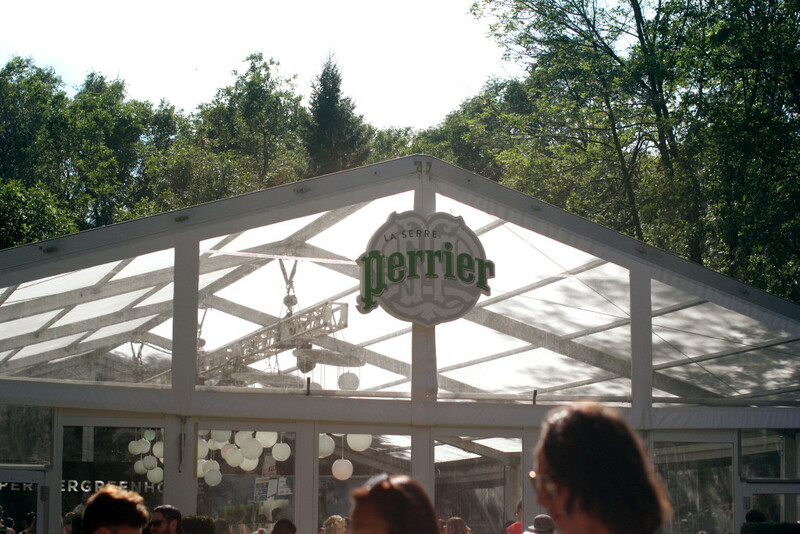 Perrier is known for their Greenhouses, which features their own DJ and assortment of cocktails made with Perrier. Scene Piknic Electronique is where many of the electro acts play, the name is a nod to Parc Jean-Drapeau’s summer long, weekly fest which takes places on Sundays. Scene De La Vallee featured a mix of electronic acts and some rap acts with Post Malone and Jazz Cartier. The event was completely sold out, and nearly 50,000 people attended each day.